Dog Training Classes are an excellent way to train your dog and give the added advantage of socialisiing your dog with other dogs and people, working with distractions so your training is effective in all environments, learning new skills and sharing your experiences with other owners and having the opportunity to discuss any issues you are experiencing with your instructor. They give you a structured programme to follow so you and your dog make progress towards your goals. I also offer one to one dog training in your own home, if you think your dog is not yet ready for a class environment or if you want more individual attention. We are Kennel Club Listed and offer the Kennel Club Good Citizens awards. We understand that the relationship between you and your dog is the most essential element in dog training and that dogs learn best when they are having fun (as do you!). 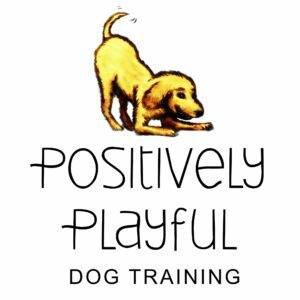 We use only positive methods, creating games to help shape your dog’s behaviour and so he learns the concepts of the exercises giving him a broad foundation to base future exercises you may wish to teach him – he won’t just learn to do what you ask, but will learn how to think and to enjoy working with you. Your dog will love playing the games and you will be amazed and at how easily he learns essential life skills and is able to perform all the standard ‘obedience’ exercises to make him a dog to be proud off. Our Dog Training Classes will be arranged by dogs age and current level of training. There will be a maximum 6 dogs per class. Puppy Class Monday 4th March 6,00 – 7.00 pm for dogs under 12 months. Puppies learn through playing games to teach them basic exercises and good manners to become well adapted family members. Socialisation with other dogs and people. Beginner / Intermediate Adult Dogs Monday 4th March 7.00 – 8.00pm for dogs over 9 months or who have completed the puppy course. Basic training through playing games, teaching both the handler and dog positive and fun ways of communicating and working together. 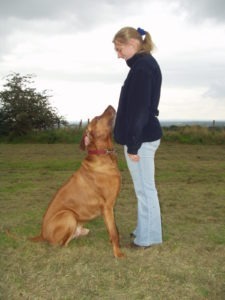 Further develop your dog’s training whilst having fun and enhancing your relationship. Course will include both new exercises and help you work on reliability and quality or previous work. Hazel has owned dogs all her life, including standard poodles and Rhodesian Ridgebacks. 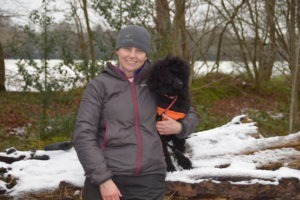 She is a Kennel Club Accredited Dog Trainer for Companion Dogs, as well as having an MSc in Applied Animal Behaviour and Welfare (specialising in dog behaviour). She currently runs her own behaviour and training business, taking cases on referral from local vets. She has been instructing training classes for 15 years, and has experience working with a wide range of dogs and teaching companion dogs life skills, Good Citizen Dog Scheme, competition obedience and agility. She is a Kennel Club assessor for all levels of the Good Citizen Dog Scheme and for instructors taking the KCAI qualification. She worked as a college lecturer and manager for over 20 years and has a Post Graduate Certificate in Education (PGCE). 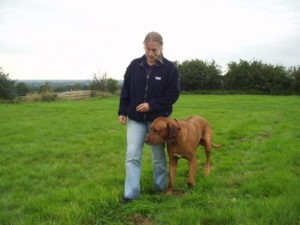 She has taught a range of practical and theoretical animal (dog and horse) courses from level 2 to level 6 (BSc). Sarah has a lifetime’s experience owning and working with dogs. She has owned bull mastiffs, german short haired pointers and miniature poodles. She is a Kennel Club Accredited Dog Trainer for Companion Dogs. She has run her own dog walking business for over 10 years and has been instructing dog training for 6 years. She has experience working with a wide range of dogs and teaching companion dogs life skills, Good Citizen Dog Scheme, ring craft and agility. She has a national teaching qualification – Preparing to Teach in Lifelong Learning (PTLLS).